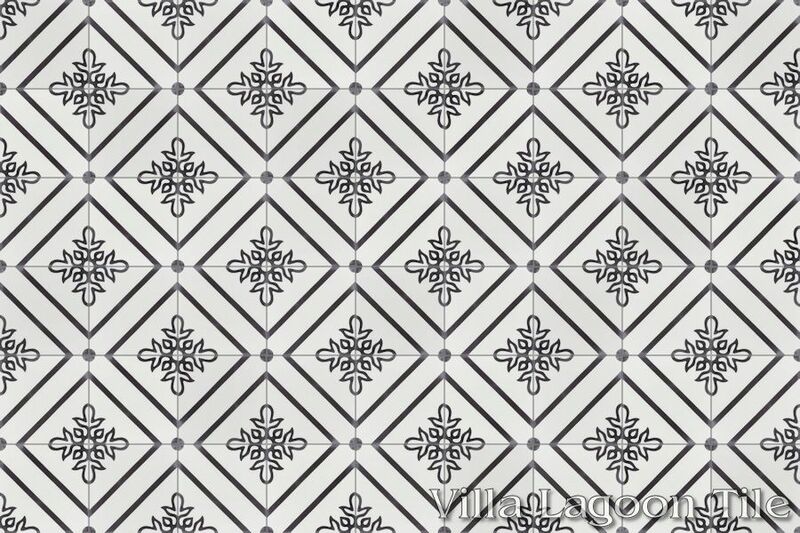 This is a 2-color 8" cement tile, using White and Seagull from the South Beach Palette. 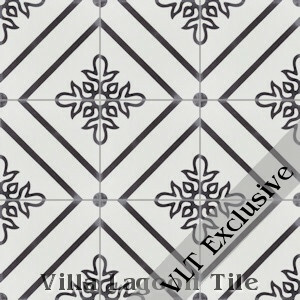 This original Villa Lagoon Tile cement tile is perfect for those seeking a simple, elegant flooring. 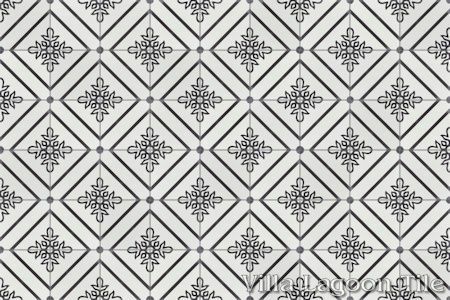 Basic squares on-point set the tempo with classic geometry, softened by a repeating floral pattern in each square.